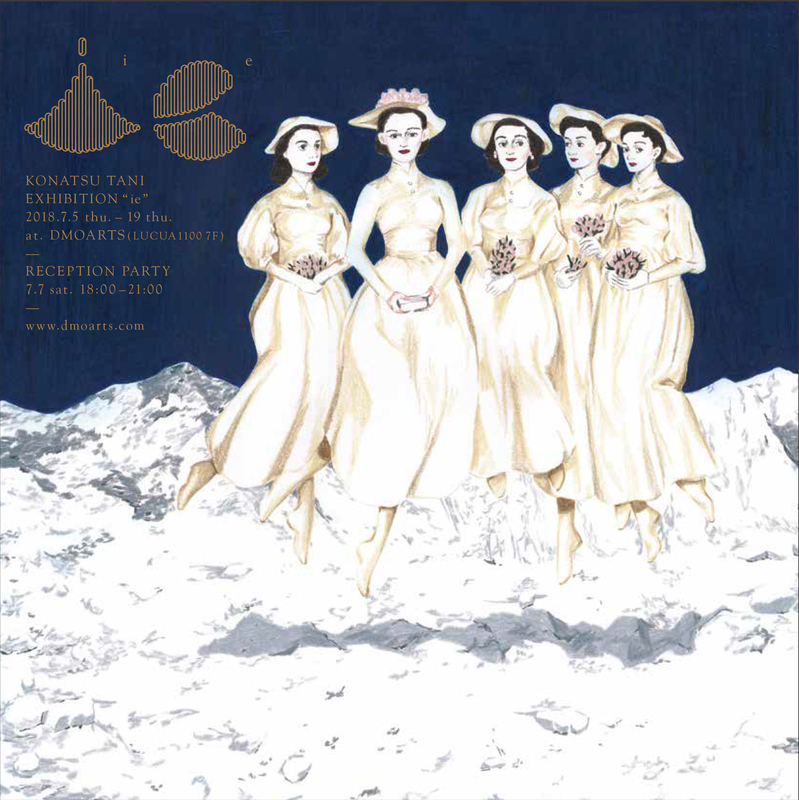 DMO ARTS is pleased to announce to have the solo exhibition of Konatsu Tani from July 5th. This is the 1st exhibition at DMOARTS for Tani, the Osaka and Kyoto based illustrator who is active as a professional illustrator. Tani appears in the gallery, please feel free to come and enjoy. “ie” is the Esperanto language means “somewhere”. And “ie” sounds in Japanese means “home”. What she draws by color pencils are all about “some family in somewhere” with no region and era. A story of anonymous and fantastical family in somewhere. Konatsu Tani was born in Osaka in 1993. After graduating from Kyoto Seika University, she has been working as an illustrators for both of commission and her own works.